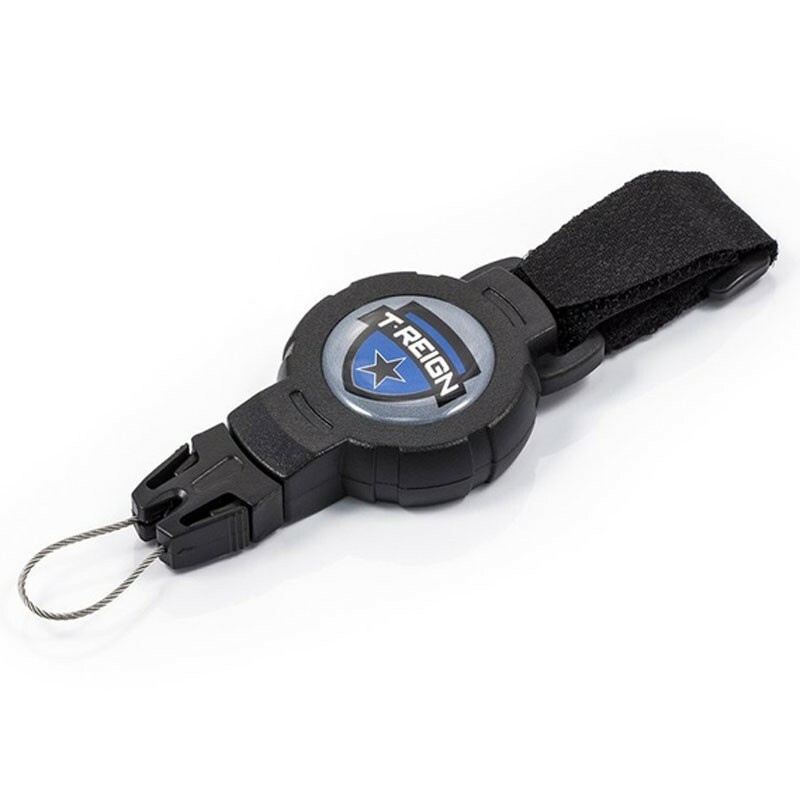 T-Reign Retractor Medium Black Strap. Secures your trusted tools, gear & electronic devices easily. Tough polycarbonate case for durability. 900mm High strength Kevlar cord for quiet & smooth operation. 170g retraction force. Quick release end fitting to release or change your gear. Velcro strap fixing for easy attachment and removal.